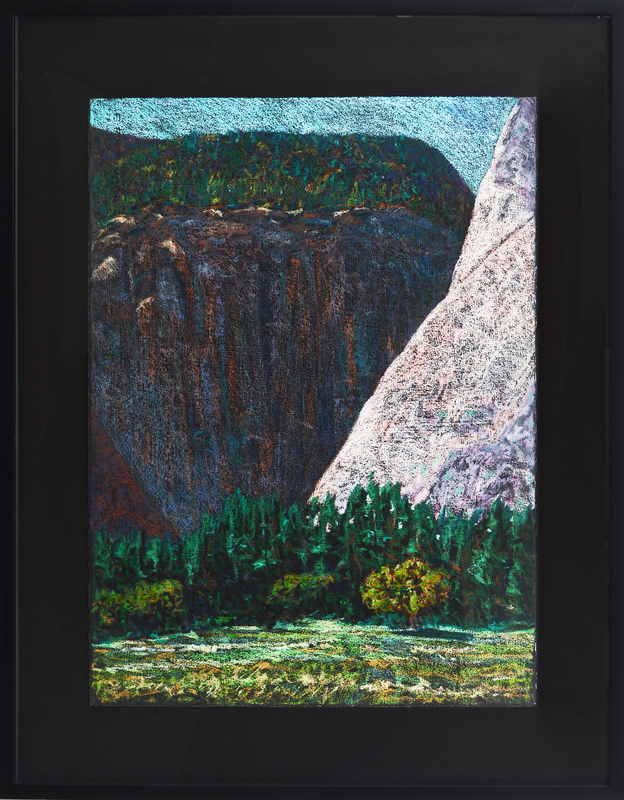 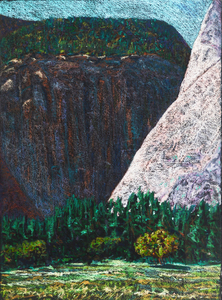 Framed Dimensions 39" x 31"
I drew this from a location just west of the Ahwahnee Hotel, in Yosemite Valley, looking south towards the granite face that rises up towards Glacier Point. It was late summer and the temperatures were still mild. The solid granite surface radiated in contrast to the shadowed Merced River and Illiloiette Fall and Gorge area.